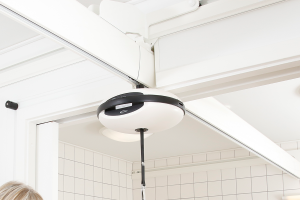 The BestCTL™ lifts moves smoothly along powder-coated aluminum ceiling track systems to safely and comfortably transport an individual in a variety of lifting situations. The tracking is designed for a low visual profile, optimal span distances and ease of installation. Our ceiling track options can work together for flexible room coverage systems and can adjust to various weight requirements. And our unique door connecting gate system can facilitate room-to-room transfers. An efficient solution for situations where a specific, point-to-point lifting need has been identified. Aluminum tracks offer strong lifting capacity, suitable for bariatric lifting needs. Switches and turntables can be utilized to change paths and accommodate the individual and room needs. Door connectors can be installed to facilitate room-to-room transfer situations. 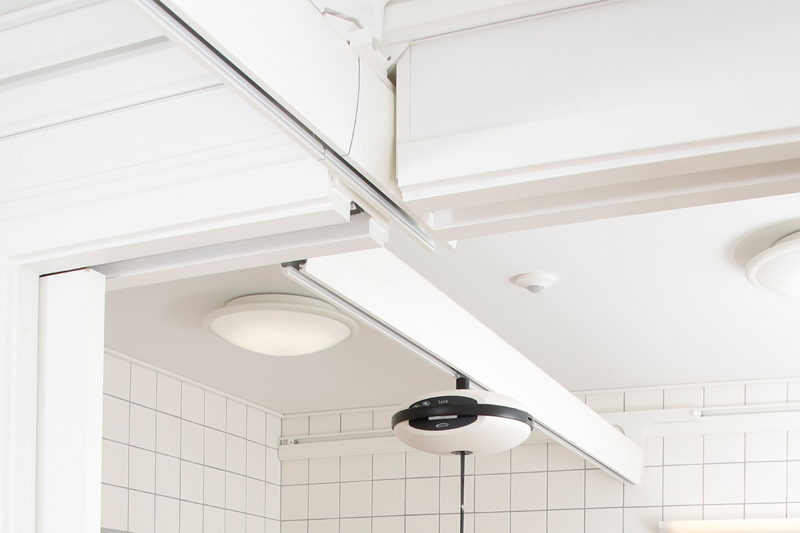 The ceiling mount track also has the curved option, straight and curved tracking options can combine easily to create an efficient path around obstacles. Curved tracking come with 3 different angles. 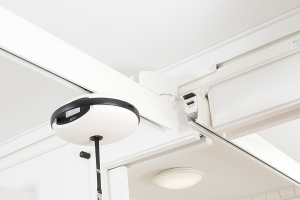 Door connectors are used for patient transfer from room to room. As a wall mounted solution, is the preferred choice by architects and building contractors, because of its elegant and compact design. The door connector is suitable for most wall widths. And because it is mounted very close to the wall surface taking up little space in the room, the desired room covering area is exploited optimally.